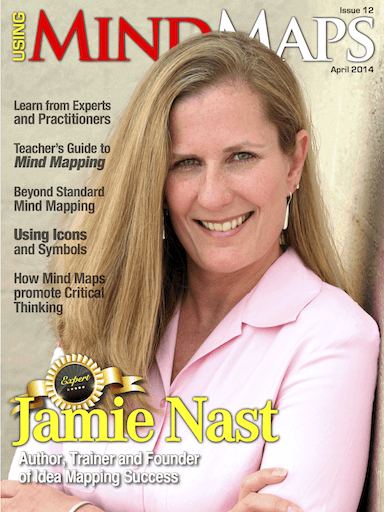 It’s almost hard to believe that this is the twelfth issue of Using Mind Maps Magazine. I had the idea of bringing Tips, Tools, Techniques and Opinions of Leading Mind Mapping Experts to Mind Mappers all over the world for quite some time. And when I saw the opportunity that Apple’s Newsstand, and later Google Play, brought, I realised that I could deliver Mind Mapping Content in a new and refreshing way. Out of these ideas, Using Mind Maps Magazine was born. A resource list is an indispensable tool I use in my professional life as a life coach and in my personal life to achieve my own goals and objectives. In fact your life resource list, it’s a tool that is absolutely critical to the achievement of success in any field of endeavor. Resource lists are very much like the food we eat on a daily basis that helps nourish our bodies. We eat this food because it provides us with the energy we need to do what we do throughout the day. Good Mind Maps usually have color. What would you do if you only had one pen or pencil available? Paul Foreman gives you some great ideas. A mind map starts you on the path of creativity. It allows you to fill in the blanks (“map the gap” if you will) in a non-linear fashion, providing a living document of ideas for future development. I have used mind maps to develop content for multiple media outlets. For example, a blog post turned into an article, which became a PowerPoint presentation, which spawned a video, that ended up inspiring a radio interview, which is now an eBook. Icons and symbols are small visual elements that you can attach to topics in your mind maps, which add meaning and context to them. These miniature images can be used to depict priority (A/B/C or 1/2/3), types of activities (phone calls, meetings or travel), tasks, and types of information and ideas. It’s been said that a picture is worth 1,000 words. A symbol or icon, attached to a topic within your mind map, can convey much more meaning and context, which can be quickly understood by your brain. In line with our BackToSchool campaign, we’d like to provide all teachers out there with a quick guide on how to get the most out of mind mapping. Learn how to use this powerful tool to increase productivity and creativity in your classroom and further the collaboration between your students! What is a “Balance Sheet”? The fact that you’re reading this article probably means that you have stepped beyond the norm of linear note taking and presenting from linear outlines. You’ve been willing to try something new, you listened to the “specials” as it were and decided to give something new, like mind mapping a try. Let’s briefly look at three possible categories people fall into when they are introduced to the concepts and science behind mind mapping.